Membership in Kappa Kappa Gamma isn’t just late night talks and sharing date party clothes. It’s not just four years at Creighton or the friends you make in your new member class. Being a member of Kappa Kappa Gamma means having strong, independent women there to celebrate with you when you succeed and to help you when you stumble. In Kappa, we share a bond with each other of respect, friendship, and support. In short, we truly are sisters. Being away from home, new classes, and adjusting to college life can be difficult. Whether it’s with a study snack or a home to go to for Easter break, dozens of sisters are there to help however they can. With a support system of amazing ladies, there is always a sister close by to weather any storm. 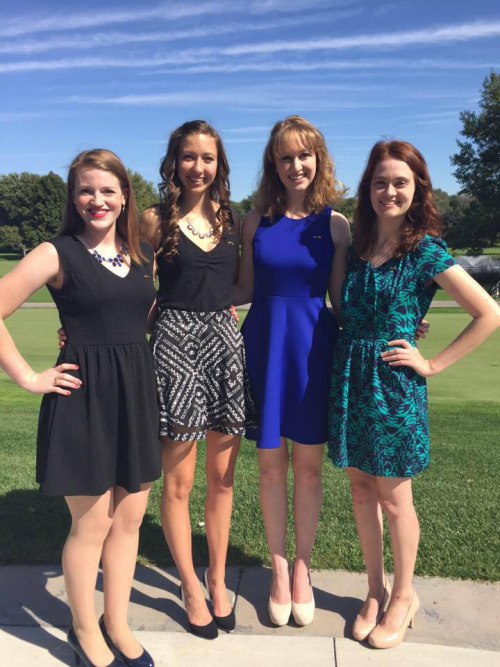 Kappa sisterhood goes far beyond recruitment practices, formals, and four years at Creighton University. Friendships built during that time transcend the collegiate experience and travel with members for life. The women you once knew at Creighton become women you lean on for life. In addition, joining Kappa Kappa Gamma means joining a network of women all around the country and a tradition that is almost 150 years old. It could be seeing a fellow Kappa in the airport while traveling or reaching out to Kappas in a new city after a big move, but members quickly realize they are part of something bigger than themselves or their collegiate chapter. Being a member of Kappa Kappa Gamma is a lifetime connection.